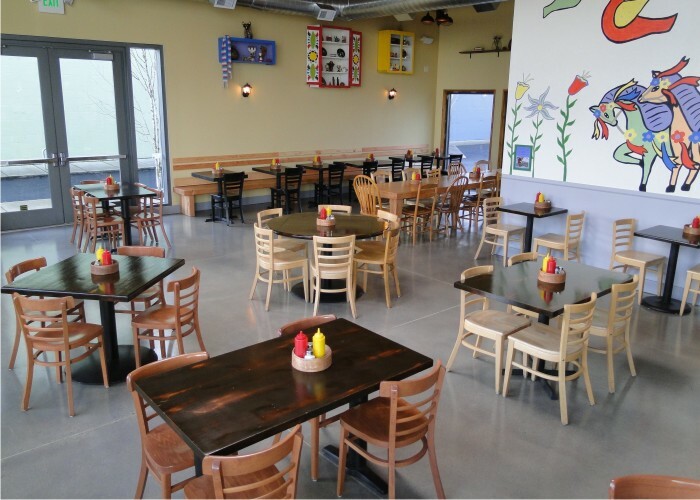 From the kitchen to the dining room to the restroom, Bach Custom Coatings has a coatings solution that will give your restaurant the look customers will appreciate and the functionality your employees will enjoy working in. We know there are many factors that ultimately determine what type of finish to apply and we also know each area of the restaurant has specific uses that should be carefully considered when making these selections. Undoubtedly this is the harshest environment in the entire restaurant. 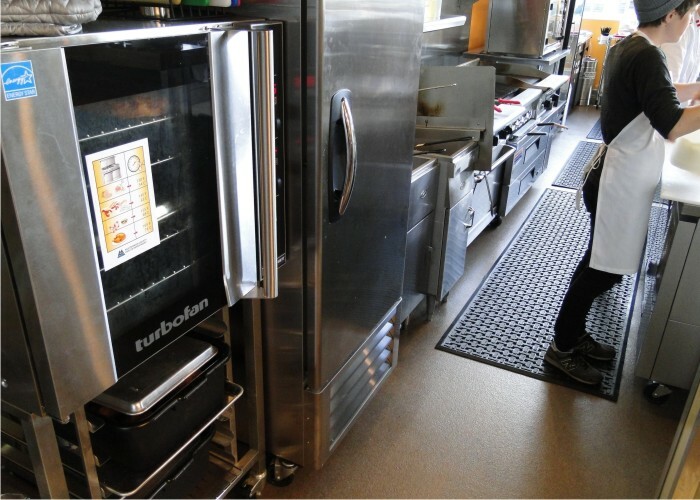 It is subjected to high heat in the cooking areas and to extreme cold in the walk-in refrigerators and freezers. From fatty acids contained in certain foods to caustic properties contained in cleaning solutions, the floor is constantly under chemical attack. Hot oils associated with deep fryers can also wreak havoc on an unprotected floor, while at the same time making it dangerously slippery to walk on. 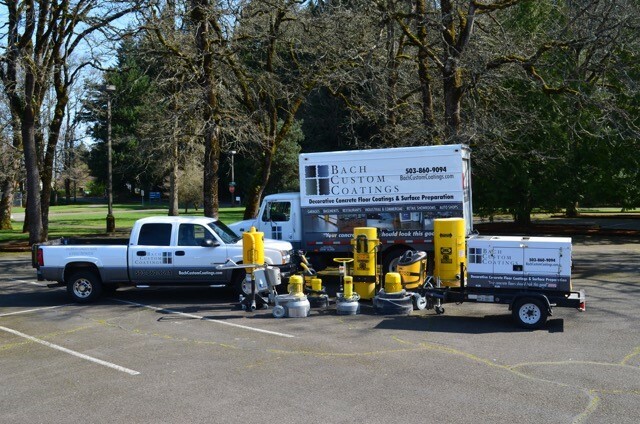 Couple all of this with the knowledge of the health department’s requirements to maintain a certain level of cleanliness and you have either a problem on your hands, or by having Bach Custom Coatings professionally install a flooring system for you, have peace of mind. This is the customer’s window into your establishment. Like the colors of the walls or the decorations you select, the floor should be carefully considered as another design element to the overall look of your restaurant. With nearly unlimited choices available when it comes to color and style, rest assured we can work together to come up with a look specific to your requirements. Although this may be one of the smallest areas of the restaurant, don’t forget the impact it can have on your patrons. A poorly maintained floor will most certainly leave a bad impression to anyone using it while one that looks nice and is easy to keep clean will give the customer a much better feeling about your establishment. 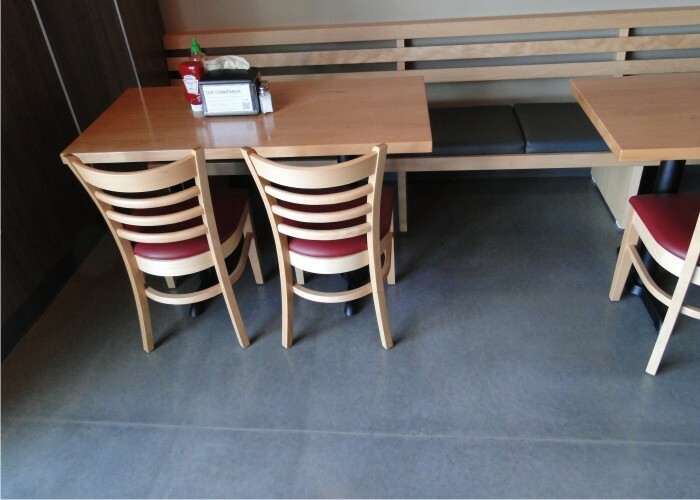 Let the team at Bach Custom Coatings show you options that complement the décor of your restaurant, provide durable alternatives to the mundane floor coverings of yesterday and give your eatery the pizazz customers will remember and talk about. We operate in Oregon & Washington from Seaside to Newport, Portland to Salem, Vancouver to Long Beach and Battle Ground to Stevenson as well as everywhere in between. Visit our sitemap page for more information on our service area.